Ubisoft has announced that a special Halloween event has begun in For Honor. The event is called “Endless March” and invites players to fight in a special Dominion mode. However, it has a challenging edge to it. While this is a version of the Dominion mode, there are a few modifications. For starters, the soldiers that fight at the centre have been swapped with skeletons. They also deal much more damage and make fighting in the centre a much more dangerous place. Players are forced to move into the centre to kill skeletons however as this is the only way to earn permanent points towards victory. Holding zones will not give you points over time like in regular Dominion. Instead, they’re worth 200 temporary points while still providing the healing effect once the zone is friendly. This healing effect is much more crucial with the powerful skeletons to fight. Another major addition with this event is the ability to add masks to Heroes. These masks will appear during idles, executions and emotes. They will also have their own customization slot. For the first week, they can be purchased for 15,000 Steel per Hero and during the second week, another special item will be available. 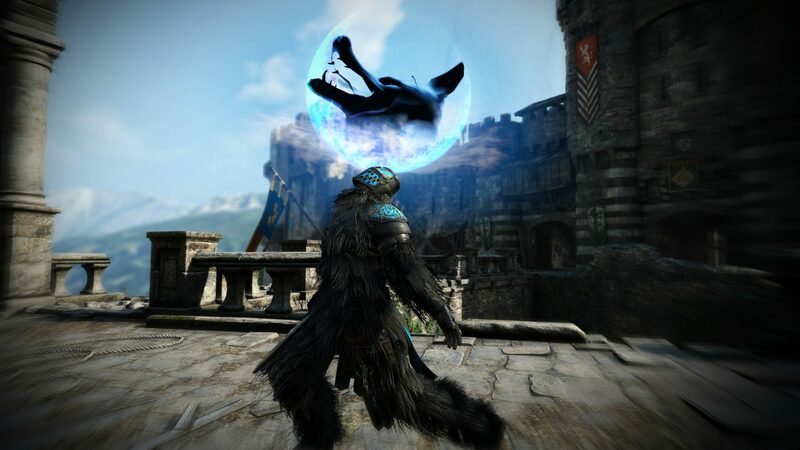 The werewolf emote which has a special effect will be available for purchase at 10,000 Steel per Hero. After the event, the werewolf emote will no longer be available. However, the masks will still be available for purchase at a slightly higher price of 20,000 Steel each. The Feast of the Otherworld is now live in For Honor. Anyone looking to take part in the event should do so while they still can. It will be ending on November 2nd which is just under two weeks away. If anyone is interested in the full blog post from Ubisoft, you can find it on the UbiBlog here.